MAJOR PRICE IMPROVEMENT!! Saddle Up Horse Lovers for this 3,200 sf ranch style home in the ONE-OF-A-KIND, fully paved, Gated Equestrian Community of Eagle Rock Ranch! 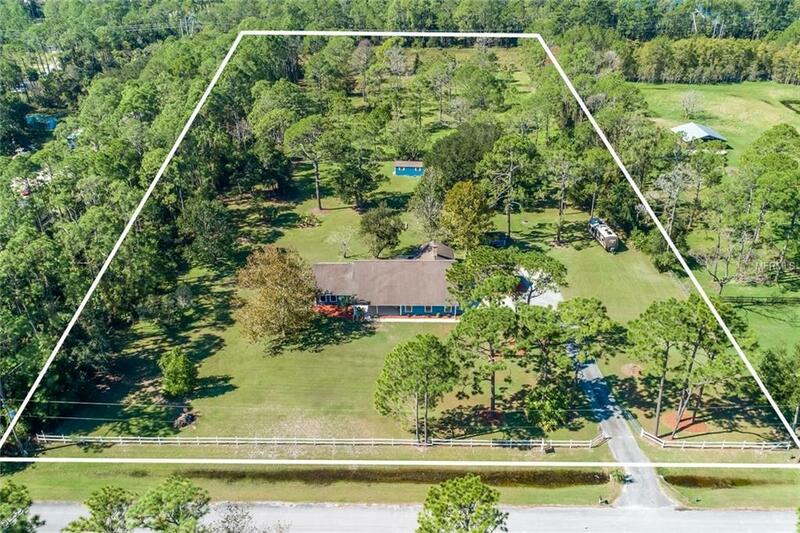 Residents of this well-maintained 65 homesite development enjoy plenty of privacy and space with its 5 acre minimum lot size, while still maintaining the comradery of a neighborhood with a riding trail, jumping arena, community pool and clubhouse. 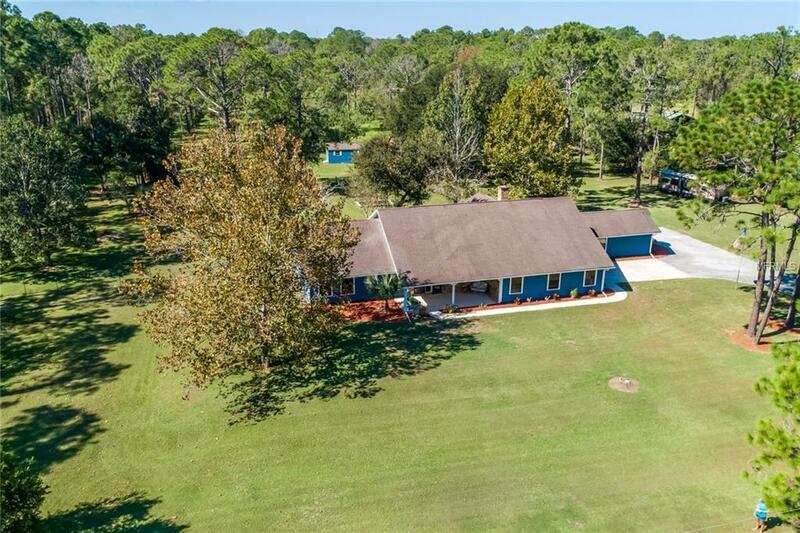 Country living at its finest, but only 2.4 miles off I95 and less than 20 minutes to the beach! Entering into the 24hr gated community, youll find your new home nestled in the very back near the cul-de-sac. Fenced and cross-fenced, so all of your dogs, cats, chickens, pigs, and horses can play safely. After a long hard day of playing and eating scrumptious treats from their feed room is complete, all animals may sleep comfortably in their 4 stall barn with chicken coop as the colorful sun sets overhead. As you step through the main entrance to this 5 bedroom/2.5 bathroom split floor plan home, you are led to a breath-taking kitchen, which features incredible cabinets and butcher block countertops, stainless steel appliances, new built-in wine refrigerator, elongated center island, and slider doors to overlook your huge firepit and lush pasture. If a new water softener, new water heater, new well pump and pressure tank, newer AC, all new toilets, new electrical outlets and receptacles arent enough, weve added a 1 year home warranty with Old Republic Home Protection for your ease of mind! 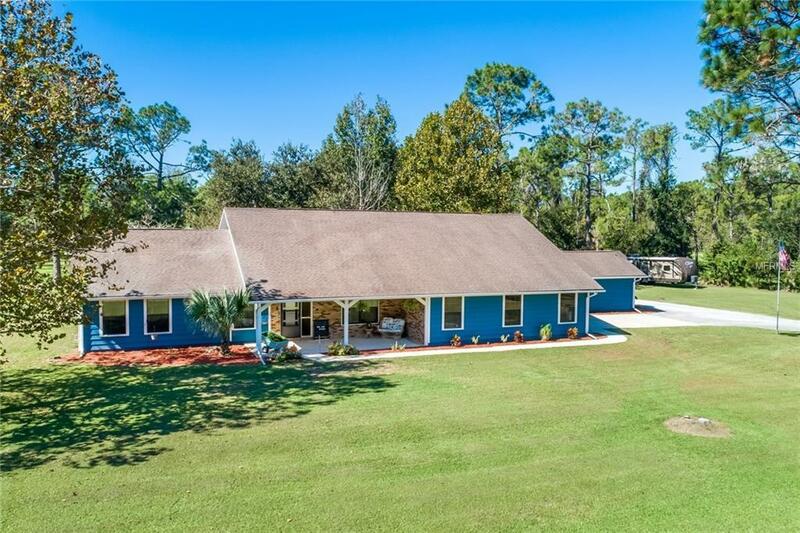 Listing provided courtesy of Keller Williams Heritage Realty.